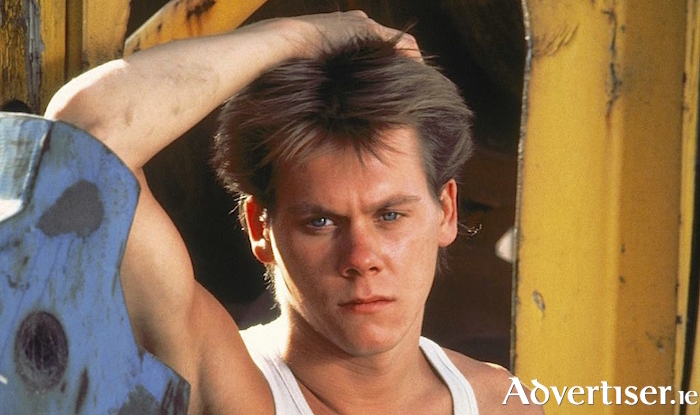 Kevin Bacon in the 1984 film version of Footloose. The plot centres on a city teenager who moves to a small town where rock music and dancing have been banned, and his rebellious spirit shakes up the populace. “The story features a father, Rev Shaw Moore, who has lost his son in a tragic accident, and his wife at home is trying to keep everything sane," he says. "The father has become distant from his daughter since the loss of his son. With all of that he has banned dancing in his local town of Bomont. There is an undercurrent of the local youth wanting to express itself through music, singing, and dancing and that has been suppressed. The cast of Footloose features newcomers and company stalwarts of Twin Productions. “One of the main characters is Ariel Moore who is played by Eilish O’Malley who was in the recent Renmore Panto," says Power. "She is still in college and this is her first musical with us but she is very talented. Another young lad, also from college, is Conor Gormally is playing Ren and, like Eilish, he is very strong in singing, acting, and dancing, so we are blessed to have such talented young people. Footloose is directed by Brian and Seán Power; musical and chorus direction is by Eoin Corcoran; choreography is by Declan J Gardiner; set designer is John Wright; and lighting design is by Paul Kelly. It runs at the Town Hall from Tuesday March 12 to Saturday 16 at 8pm, with a matinee performance at 3pm on the Saturday. Tickets are €22/20 from www.tht.ie or 091 - 569777.